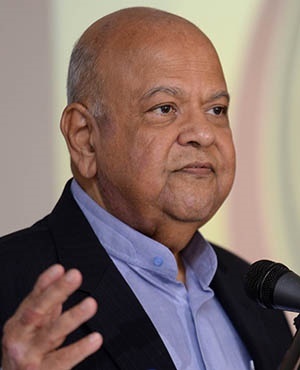 Public Enterprises Minister Pravin Gordhan acted reasonably by firing ex-Transnet board member Seth Radebe, who failed to act on a report that revealed elements of state capture in the state-owned firm, the North Gauteng High Court heard on Monday. Radebe is seeking reinstatement to the Transnet board, in a case seen as resistance to Gordhan’s drive to overhaul state owned enterprises, amid festering maladministration and corruption. Radebe, however, says the decision was racially motivated. He was dismissed from the board after following the release of a report which detailed corruption and impropriety around the acquisition of 1 064 locomotives for R54bn in 2014. The locomotives contract was found to be irregular. Radebe declined to act against some Transnet executives implicated in the Werksmans forensic report which was deemed to be inconclusive. Gordhan’s attorney, Nazeer Cassim told the court that there was “good reason” for Radebe’s dismissal and that the removal of the old Transnet board was meant to stop the bleeding of resources. “There is nothing that shows that Gordhan is racist, that is rubbish,” he said. He dismissed the racism allegation as “an easy answer that is commonly used” particularly in the country's current social climate. Radebe was appointed to the Transnet board in December 2017, along with Arlana Kinley, a non-executive director and member of the audit committee. However, Kinley survived the axe when Radebe was fired on May 14, 2018. Her retention gave rise to Radebe’s charge of racism against Gordhan. Kinley is white, and was never asked to make a representation as to why she should not be fired. Radebe’s attorney Dali Mpofu rejected as “senseless” Gordhan’s assertion that Kinley’s retention was aimed at ensuring continuity. His dismissal was potentially damaging to his career as it painted him with the brush of state capture, he said. Mpofu also told the court that Gordhan’s conduct towards Radebe was “overbearing” and at one point he “shouted at him across the corridors of Parliament”. Judge Hans Fabricius will rule on the matter on September 25.